Dr. Zaccaria is a double board certified plastic surgeon, licensed in New Jersey. Born and raised in New Jersey, he received his medical degree from UMDNJ—Robert Wood Johnson Medical School, and completed both a general surgery and plastic surgery residency. He has been in solo private practice since 1993. He was voted as "Top Doc" in the New York Metro Area (2009--15), Inside Jersey Magazine (2010--15) and NJ Top Docs (2015). A "Top Beauty Doc" in NJ (2009), he has served as the Chief of Plastic Surgery (2003—08), Chief of Staff (2006—08) and Chairman of the Quality Improvement & Outcomes Committee (2009-11; 2014-15) at Jersey Shore University Medical Center, Neptune, NJ. Dr. Zaccaria has also served as President of the Monmouth County Medical Society (2002—2005), is an active member of the American Society of Plastic Surgeons & NJ Society of Plastic Surgeons, and a Fellow of the American College of Surgeons. 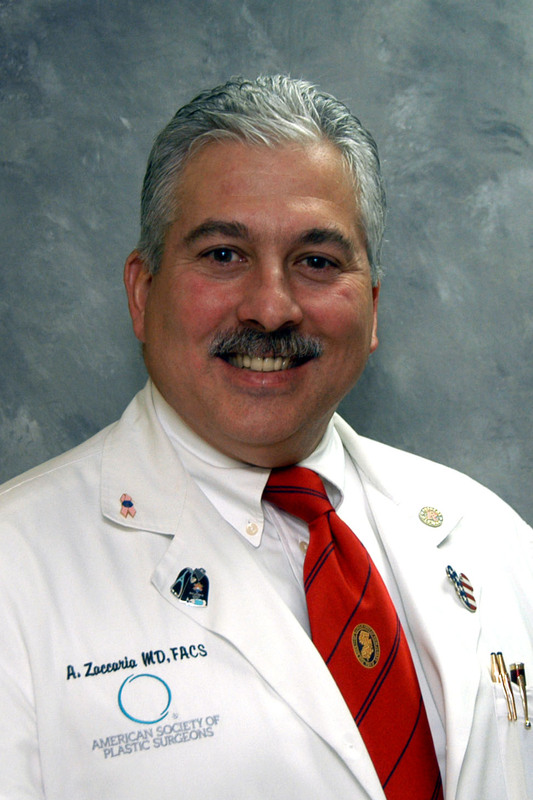 He has served as the Medical Director of the Wound Treatment Center at Monmouth Medical Center, Long Branch, NJ, and is an experienced Medical Expert. He is a caring physician, dedicated to the delivery of quality medical care.